The Beetle and the shoe! I had 2 tricky cake orders last week. Firstly, a very sophisticated cake for a 16th Birthday. 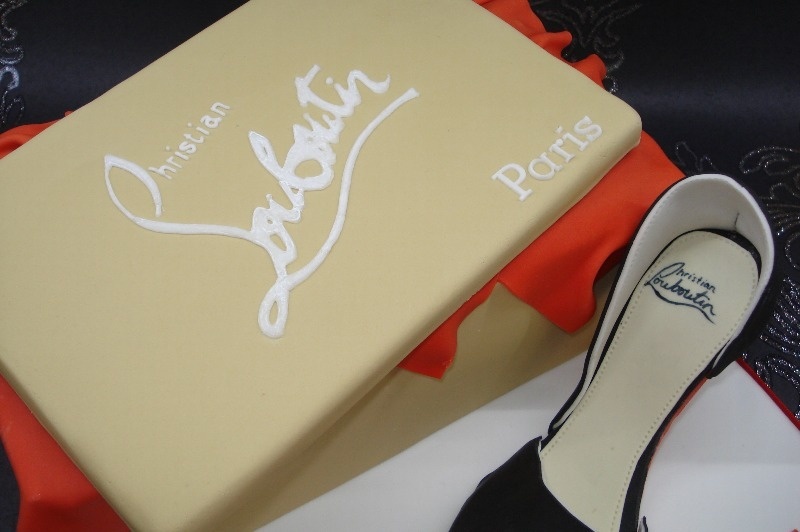 Molly wanted a shoe box cake with a shoe alongside it, no ordinary shoe though - Louboutins no less! The cake was 10" x 6" and was vanilla filled with Baileys buttercream. The logo on the lid was piped with royal icing. The shoe was made entirely from sugarpaste and no moulds were used. It was built over the course of a week, with plenty of drying between each stage! The full image can be seen in the Bespoke gallery. Next up was a Beetle, of the motorised kind! 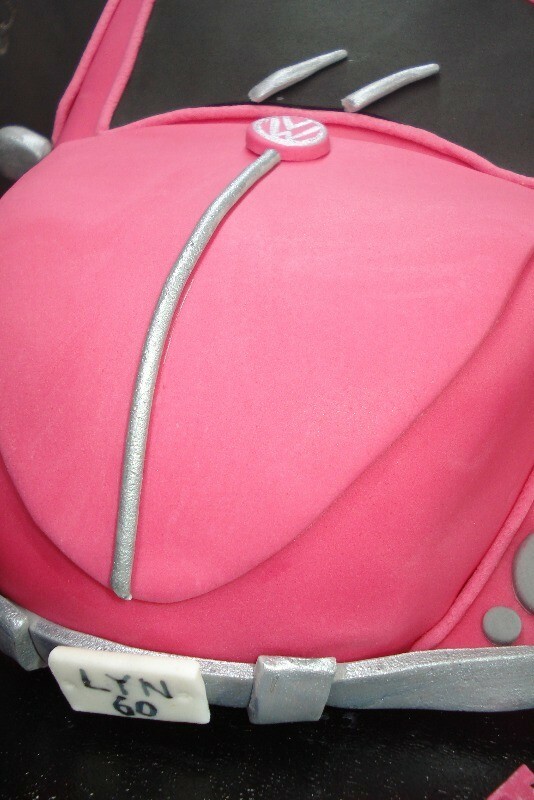 The customer wanted a VW Beetle (classic model, not a modern one ) and it had to be PINK! I think the cake fulfilled both briefs! Again, a full picture can be seen in the Bespoke gallery, but here are some details. The weekend before last, I had a lovely Christening order, Benjamin Edward had a lovely cake and 50 matching cupcakes, the table looked lovely and there was not a crumb left when I went back later to collect my stands! 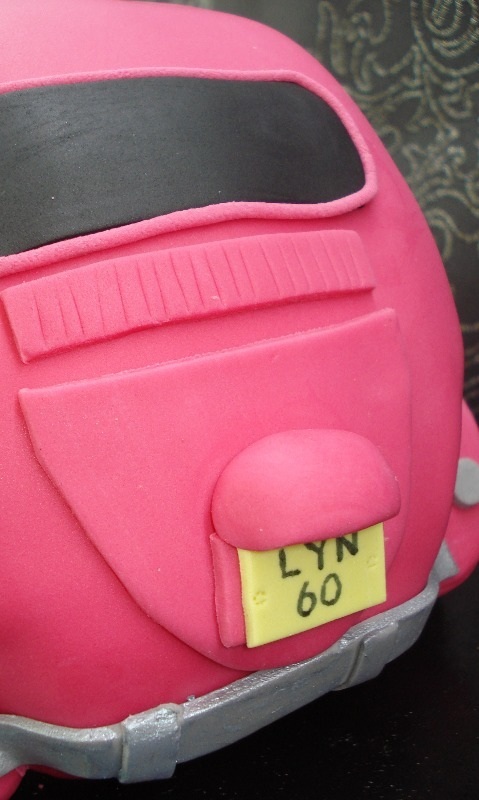 I've already recieved great feedback from all of these cakes, you can read some of my tesimonials here. The lovely messages and thank you cards I recieve make all of those hours making fiddly little models and obsessing over details totally worth it! I'm very lucky to have a job that I love and that makes other people so happy.